Valken Sports was founded in 2008 and created several divisions, Paintball, Roller Hockey, Aggressive Fighting and Racing. They are a sales, service, manufacturer and distribution company dedicated to serving specific sports communities that has coupled exceptional service with competitive, quality sporting goods. Their goal was to hear what the players, dealers, drivers and spectators had to say and then effectively, efficiently implement those ideas in to high-quality products like Valken hockey pants. Their focus was to break the stranglehold that mainstream companies had on their dealers and to give their customers a break from the heavy-handed monopoly. Whether it be hockey pants, jerseys or goalie equipment from Valken Hockey; helmets, sticks or pads from LAX (lacrosse); gloves, pads or training equipment from our MMA division, FIGHTCO; true-spun, precision racing wheels from Valken Racing or Redemption, Crusade or thousands of other paintball items from Valken Paintball, Valken is on your roller hockey team, in your corner and guarding your goal. Valken is continually developing and introducing innovative products in to each of our lines as they continue to work to surpass your expectations and build each sport and help small businesses. Their ability to manufacture many of these items like roller hockey pants, affords them the ability to provide custom gear and by cutting out the middle-man, reducing your cost as a buyer. Here at HockeyPants.com we pass that savings on to you! 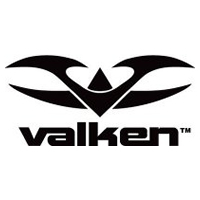 Valken may be a new name in the roller hockey pant industry, but behind the name there is experience and history that has created Valken’s unique character and a corporate philosophy that places the strength and profitability of their customers and hockey pants stores, above all else. Valken hockey pants are made by the players, for the players, with high-quality products and technology and brought to the public here at HockeyPants.com at the cheapest Valken hockey pant price found on the web. 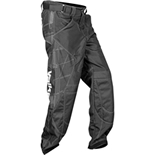 (Simply add the Valken hockey pant to the cart to see your $11 Savings over the others). 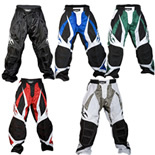 Valken Hockey Pants - A trusted hockey pant brand for us and we also provide you with a large selection of Valken roller hockey pants, Valken inline hockey pants and Valken roller hockey pants equipment for great discounted prices at HockeyPants.com. 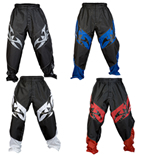 Valken 2XL roller hockey pants are made by the players, for the players, with high-quality products and technology and brought to the public here at www.HockeyPants.com at the cheapest Valken 2xl roller hockey pant price found on the web. 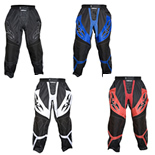 Valken 3XL Roller Hockey Pants - Use Hockey Pant Coupon Code: VALKEN3XLPANTS8 for an additional $8.00 OFF! 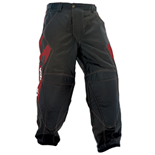 Valken 3xl hockey pants are made by the players, for the players, with high-quality products and technology and brought to the public here at www.HockeyPants.com at the cheapest Valken 3xl roller hockey pant price found on the web. 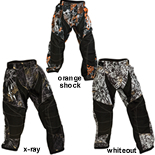 Use Hockey Pant Coupon Code: VALKEN3XLPANTS8 for $8.00 OFF! Valken 4XL hockey pants are made by the players, for the players, with high-quality products and technology and brought to the public here at www.HockeyPants.com at the cheapest Valken 4xl roller hockey pant price found on the web. 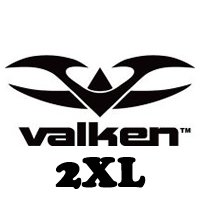 Valken 3XL Roller Hockey Pants - - Use Hockey Pant Coupon Code: VALKEN3XLPANTS8 for an additional $8.00 OFF! Valken 5XL hockey pants are made by the players, for the players, with high-quality products and technology and brought to the public here at www.HockeyPants.com at the cheapest Valken 5xl roller hockey pant price found on the web.